WYSE Travel Confederation has appointed Jennifer Woodbridge to the new position of Strategic Development Consultant. 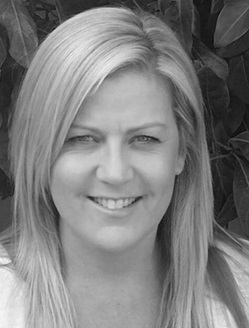 Jennifer is a valuable industry advocate, having spent the last two decades working in the Australian inbound tourism industry, holding senior positions within both government and private sectors, most recently the Australian Tourism Export Council; Australia’s peak inbound tourism association. Jennifer’s key focus will be on developing WYSE Travel Confederation’s profile, reputation and relevance in the southern hemisphere, which will involve working closely with our members to ensure that we meet and exceed their ongoing needs. “As the most powerful network of youth and student travel professionals operating in a global market worth USD 200 billion in 2013, we recognise that our members have different requirements in different geographical locations,” commented David Chapman, Director General of WYSE Travel Confederation. Jennifer will be joining us at WYSTC 2014 in Dublin and is keen to meet as many of our members as possible to discuss how WYSE Travel Confederation can better support them, especially those operating, or looking to trade, in the southern hemisphere. If you are registered to attend WYSTC, please contact Jennifer through Marcom eSchedule PRO to schedule a one-to-one appointment with her and discuss your organisation’s needs further.